A network diagram is the graphic representation of a computer network. You can see at a glance your key IT devices, and how they’re connected and protected. 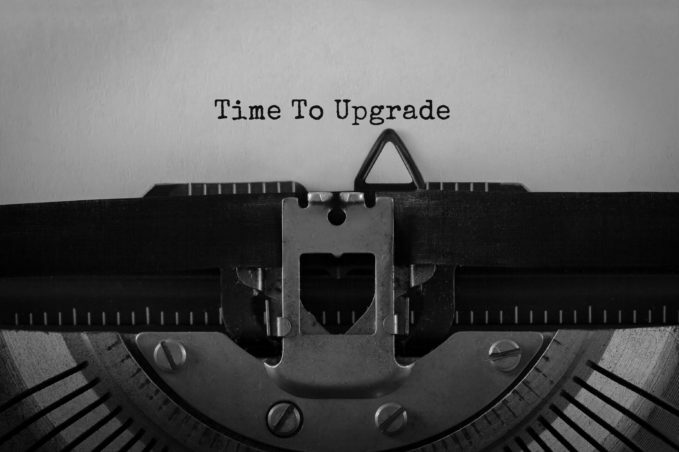 “Lack of documentation is a leading cause of costly and time-consuming troubleshooting,” according to an excellent blog post aimed at small businesses by BEI, an IT services firm serving the Washington D.C. area that works with many SMBs. Ellen Jennings, CEO of BEI, says that when her support team has to start from scratch to find things like IP addresses, physical locations, and dependencies among various IT components, fixes naturally take longer and cost more. Ellen wants any of BEI’s tech support specialists to be able to help any customer who calls in with a critical issue. A network diagram helps make that happen quickly, she says. While putting together a network diagram, it’s not unusual to find some vulnerabilities or network configurations that could be greatly improved. I’ve worked with clients who avoided serious issues because their network diagram exposed a potential problem with their network. By not waiting for an emergency, we could address the problems carefully and manage the budget. Also, with these diagrams in hand, system upgrades and installations can be done efficiently, with minimal downtime. Over the years, you may work with a variety of in-house and third-party IT people who need to get up to speed on your infrastructure quickly. On some IT projects, two or more vendors have to get their gear and/or software to cooperate with one another and with the rest of your system. Three items within that box are labeled “server,” meaning the office contains three physical servers. But your backup vendor will see that two of the servers are partitioned into multiple “virtual servers.” The server named Hyper2016-CPM, for example, contains five virtual servers. A network diagram provides many such clues that will help new IT staffers or vendors be effective and accurate right from the get-go. According to itSynergy, lack of documentation hurts both parties, especially if you’ve got an internal IT staff who doesn’t want to part with documentation (or doesn’t have the right kind). As an example, the post cites an itSynergy client that wanted to outsource its technology management, but had almost no infrastructure documentation from its internal staff member. “They were experiencing issues with performance but found themselves scared to even address these issues for fear of losing years of data or network intelligence.” A terrible position to find yourself in indeed. Take another look at the diagram above. Even if you don’t have an IT background — heck, even if you don’t want to know this much about your IT infrastructure — you’ll gain valuable insight by simply reviewing this with an IT person once a year or so. I’ve walked through similar diagrams with clients for years, often after updating it following an installation or other significant change. Over time, even those who aren’t IT savvy will grasp the basics of their IT infrastructure. This level of knowledge helps you weigh risks, make budgeting decisions, and overall manage your IT resources better. On the other hand, your business might have a complex system that requires a more complete diagram. For clients like this, I sometimes help them produce simple diagrams that are easy for non-IT people to follow, plus more complex diagrams that IT pros might need. 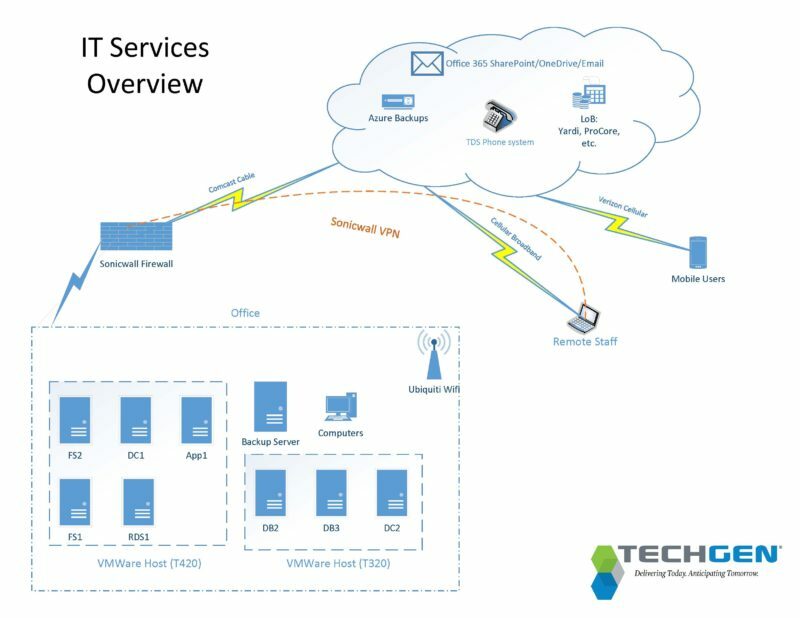 You can see this diagram has a few “callout boxes” with details that help guide IT staff and vendors. Note that the diagram includes more than just servers. All the key components are included, right down to the devices used by remote customers (see upper right). It’s okay to have a diagram that includes all of this information, just be very careful who has access to it. If your small business doesn’t have IT staff, this is most often a job for an outside expert. If you have a general IT services provider, check to see if they already have one. Ask for a walk-through! A brief Microsoft video on using Visio to make a network diagram (this is a common tool for this purpose). Lucidchart, which bills itself as a free alternative for Visio, meaning that it does have a licensing option for “lite” users. Like Visio, it has many templates you can use to get started, with “stencil” shapes that help you quickly identify the type and brand of hardware and software used in your network. When people from outside your company work with your network, your network diagrams may not help if the service person can’t match the components on your diagrams to your critical physical hardware, including servers, gateways, routers, and important cables. What? You don’t HAVE a disaster recovery plan? Well, that will be another blog post for another day. But in general, you should have all of your IT infrastructure documentation in a secure place, and your main IT services provider should have it, too. The goal is for your infrastructure documentation to allow an IT pro to start from scratch, if necessary, and configure your existing network as is. 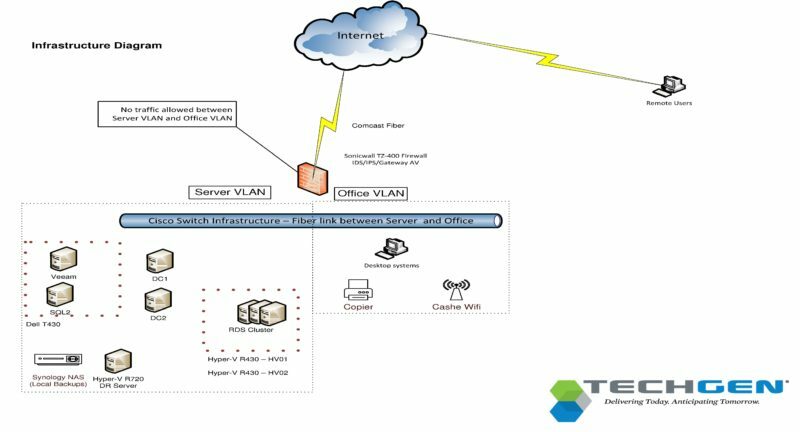 Once You Have an IT Network Diagram — Make it Work for You! When your IT network undergoes a significant change, you need to update your network diagram. If you’re outsourcing this function, you should walk through your network diagram about once a year to see what’s changed. This periodic review is an excellent way to help plan for infrastructure upgrades. If you’re opening new physical locations, use the diagram as a guide for setting up and labeling the physical IT components. Over time, you’ll find this tool can do more than bail you out of tight situations. It can expand your knowledge, making you a better day-to-day manager and a better long-term strategist.